The band ‘Devious Dogs’ had a strong direction in mind when they came to me with the brief for their latest album ‘Dog House.’ They wanted 80’s b-movie colours, a night-swept monochrome street, and a visual imagining of the setting for their music. 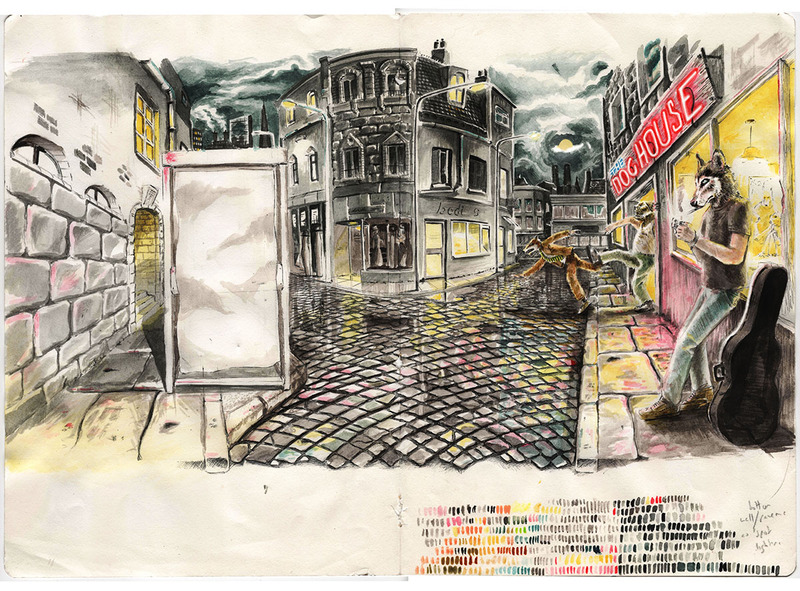 The album art works across a gatefold, by merging two views of the street at are at 180 degrees to oneanother. Using this method, the drama of the landlord kicking out a boozed up punter is placed in an entire surrounding, so becoming (to the observer) just another moment of madness that you might find walking through otherwise quiet streets.